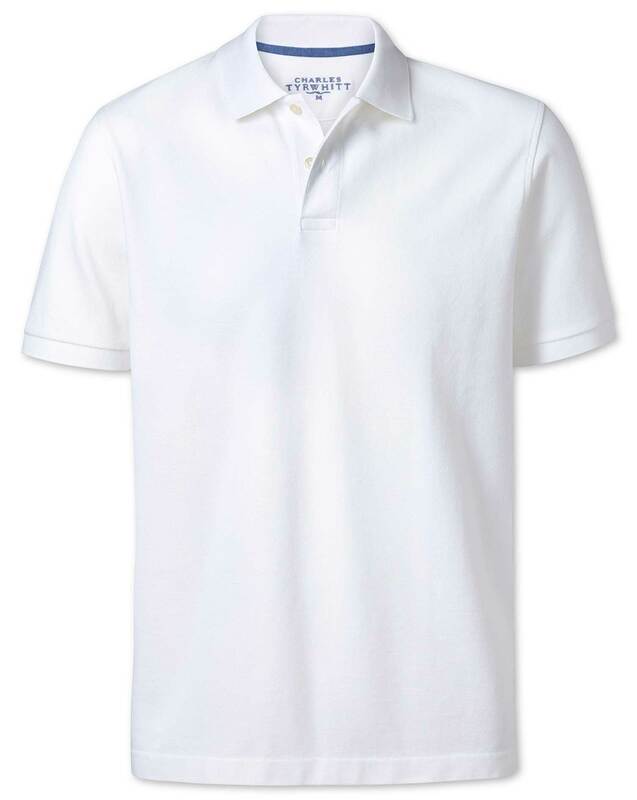 "A bona fide wardrobe classic, the iconic polo shirt is almost a century old. Traditional piqué fabric is naturally sweat-wicking so they just could not feel more comfortable. In addition, our performance finish ensures yours will serve you well, minimising fading, pilling and shrinkage, and retaining its shape after multiple washes." "Our piqué is made from two-ply 100% cotton yarns, so as well as being wonderfully soft it's also twice as durable." Our famous pique polos come with a special finish that reduces fading and shrinking. They look fantastic for longer. Love the thicker material - does not look like the usual thin, see-through white polos from other stores! Fit well. Soft fabric. Stayed wrinkle free on trip in suitcase. Excellent fabric quality, right sizing. Love it! Very happy with the white pique polo. Great selection and first-rate service.